All Powderhorn Ranch homes currently listed for sale in Scottsdale as of 04/23/2019 are shown below. You can change the search criteria at any time by pressing the 'Change Search' button below. 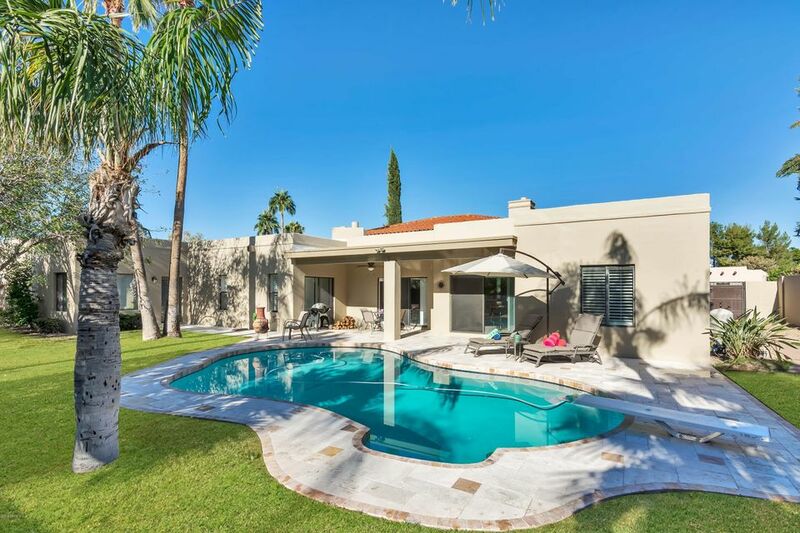 "This a beautifully remodeled home in Powderhorn Ranch on a large 1/3 acre manicured lot with beautiful mountain views in a quiet neighborhood in North/Central Scottsdale. Home has 4 bedrooms, 3 baths & a large 430sqft multi-purpose addition, high vaulted ceilings & large bedrooms, . Kitchen includes top-of-the-line Wolf double ovens, Sub-Zero refrigerator, Kitchen Aid dishwasher, maple cabinets & granite counters and opens to large family area. Master bath has spa tub, maple cabinets, travertine"